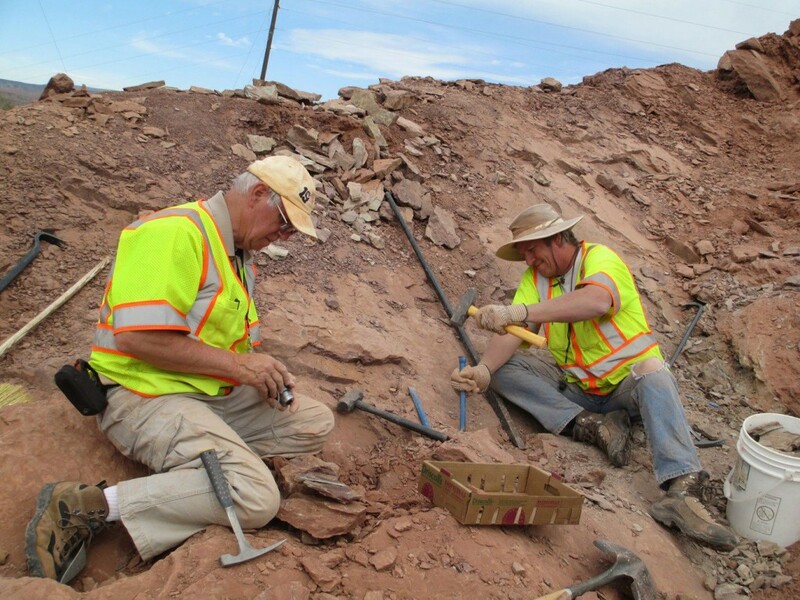 WASHINGTON COUNTY — Four new paleontological sites were discovered during the Southern Parkway project in Washington County, and 10 previously known localities were surveyed for additional paleontological resources. 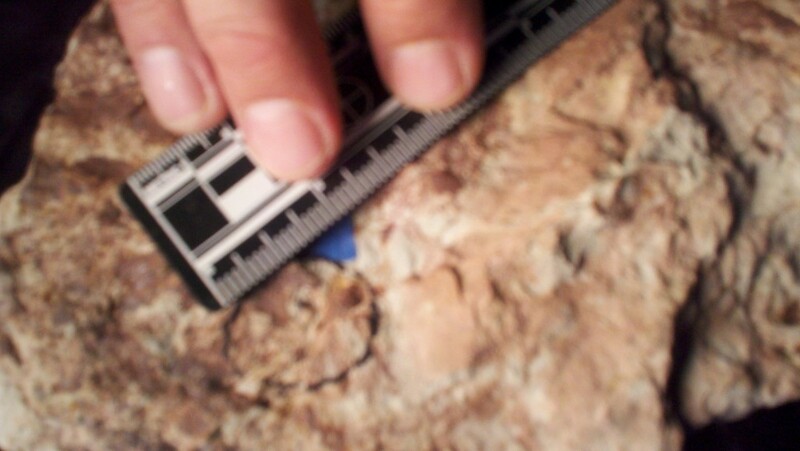 Paleontologist Andrew Milner shares his findings, some of which may be entirely new discoveries to science. Earlier this year archaeologists from the consulting company William Self Associates employed by the Utah Department of Transportation discovered and excavated ancient ruins as they surveyed their way through the Southern Parkway, a 33-mile project that will soon be an eastern belt route for Washington County. 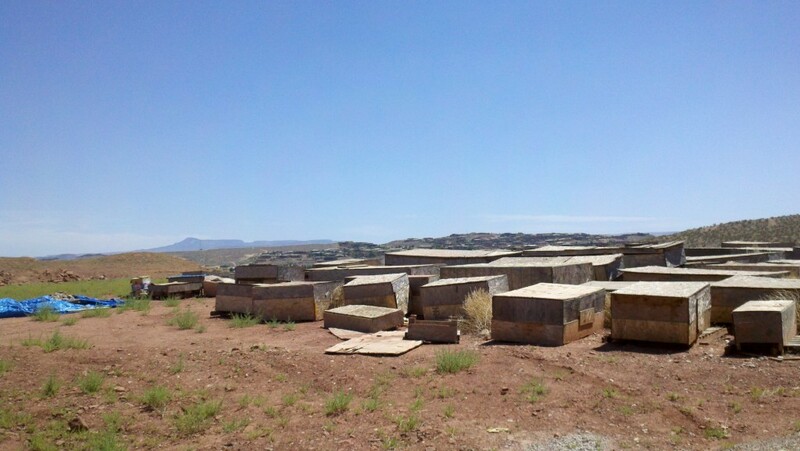 The ruins have been named one of the oldest sites investigated in Southern Utah, situated where more than 15 other archaeological sites have been found near Washington Dam Road in Washington. Archeologists stated in an earlier report this year that upon significant research, the area was inhabited by humans for up to 10,000 years. Among the list of items, as previously reported, were Anasazi pit houses, arrowheads, and pottery calibrated to date back as far back as 400 B.C. 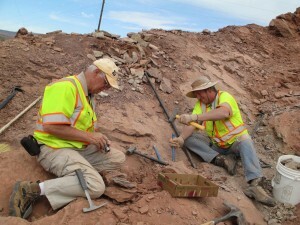 Paleontologist Andrew Milner was hired on by William Self Associates as the firm’s consulting paleontologist to investigate the paleontological resources along the Southern Parkway Project route. 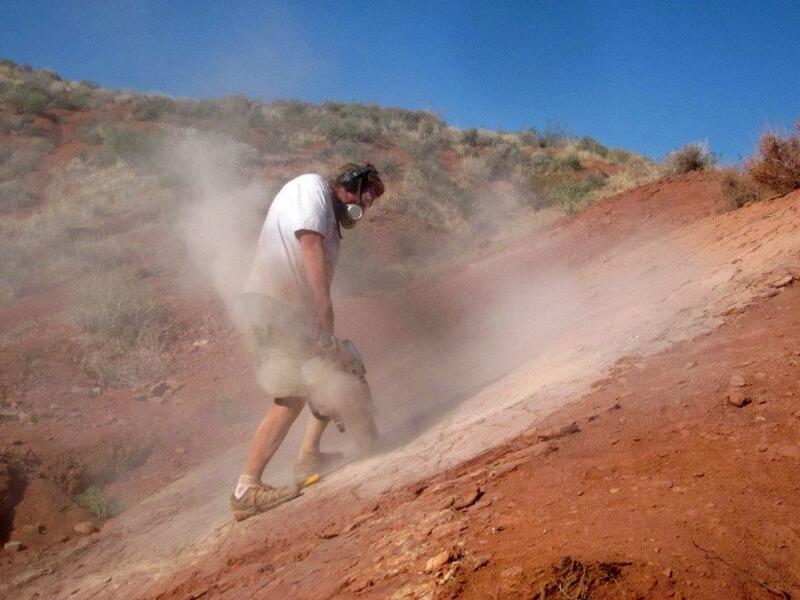 He is also the paleontologist and curator at the St. George Dinosaur Discovery Site at Johnson Farm, where he specializes in dinosaur tracks and other fossils from the Triassic and Early Jurassic periods, with rocks that he said range in age from 230 million to 190 million years old. 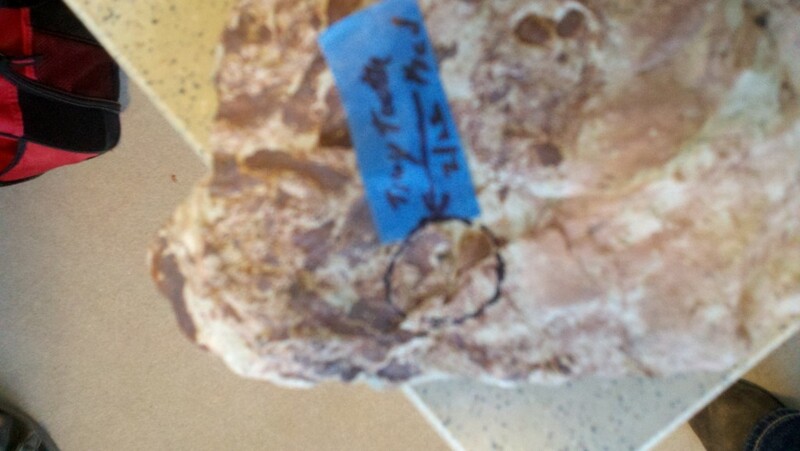 Paleontology and archaeology are often confused with one another, Milner said. 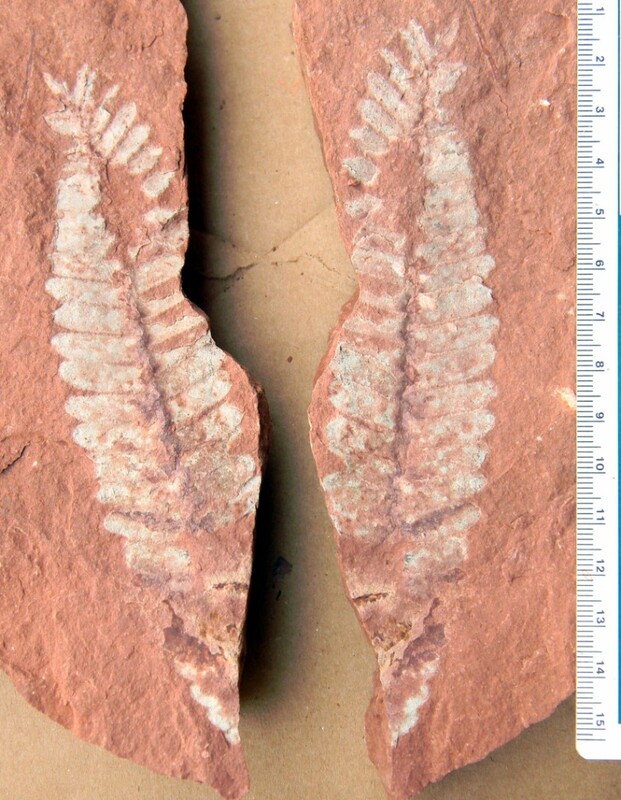 While archaeologists study past human life and culture by the recovery and examination of remaining material evidence, such as graves, buildings, tools and pottery, paleontologists study prehistoric life forms such as animals and plants, through their fossils preserved through geologic time. 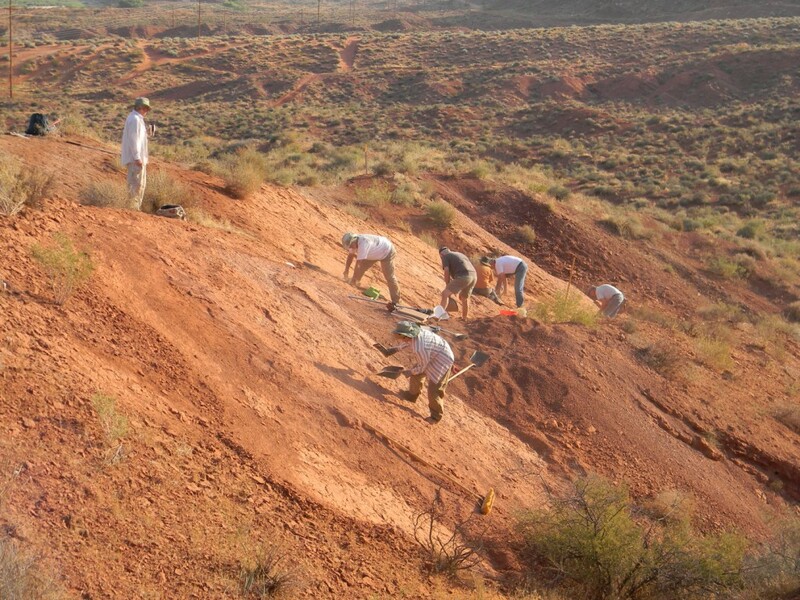 Four new paleontological sites were discovered during the project, and 10 previously known localities were surveyed for additional paleontological resources. Two of these localities turned out to be of critical importance for paleontologists, Milner said. 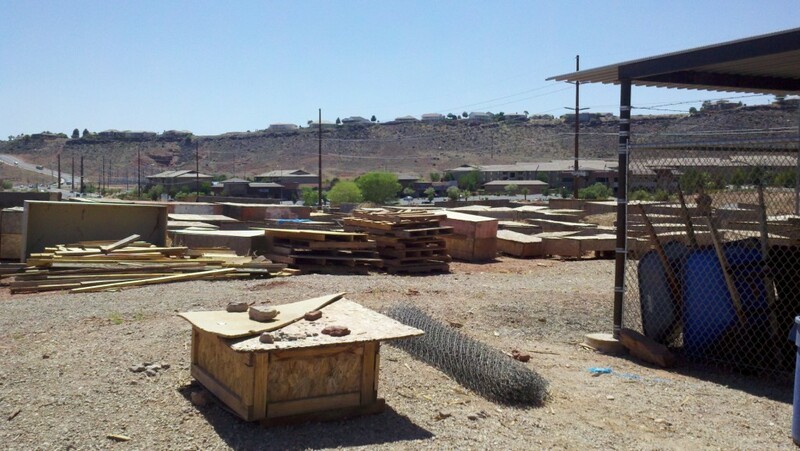 Both sites are from the early Jurassic Kayenta Formation, Milner said, which consists of rocks that are about 195 million to 190 million years old. 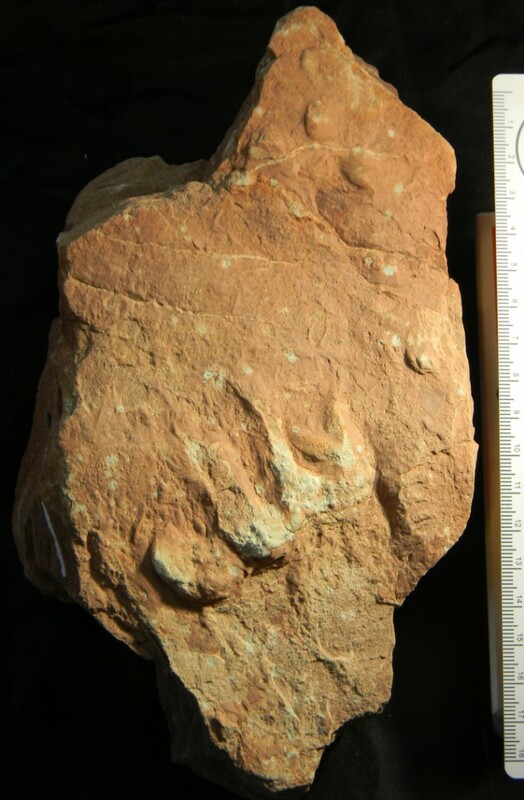 The first locality was excavated in 2011-2012 and revealed more than 600 dinosaur tracks preserved along the shores of an ancient river that flowed from the southwest to the northeast before the Rocky Mountains had formed. Most of the footprints preserved were made by small plant-eating dinosaurs, Milner said. Other tracks include those of large and small meat-eating dinosaurs and rare prints of extinct crocodile relatives. 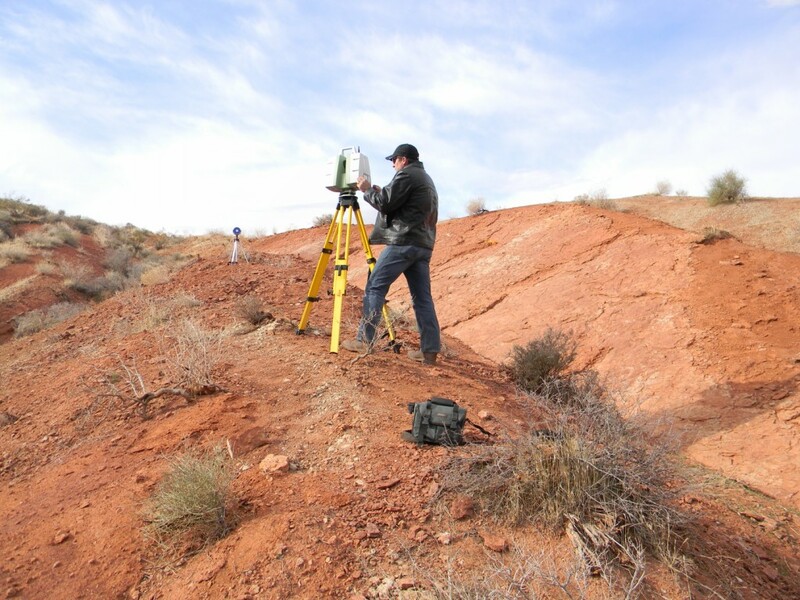 Although this site is now completely buried beneath some 15 feet of road fill, Milner and his team of dedicated volunteers mapped, photographed, measured, and had the entire site laser-scanned in order to preserve a detailed record of the site. Replicas of some of the more important tracks were made and collected for further study. 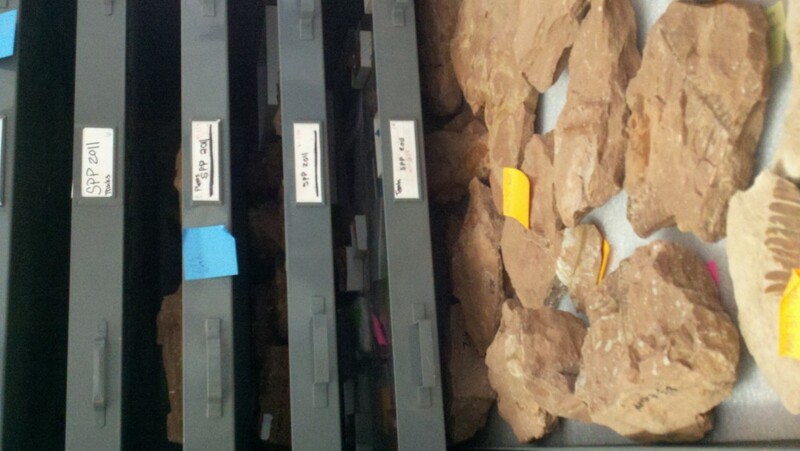 All of the tracks collected from this site are now held in the Natural History Museum of Utah in Salt Lake City. 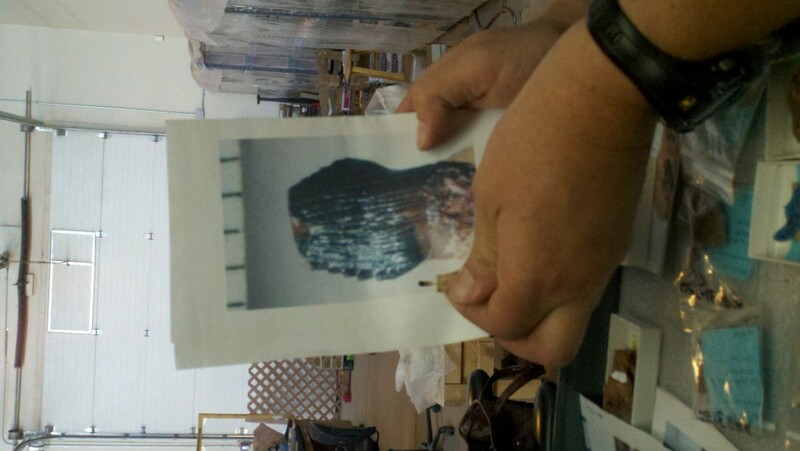 Of these, he said, about 100 fossil teeth have been found and so far they represent seven different kinds of reptiles. 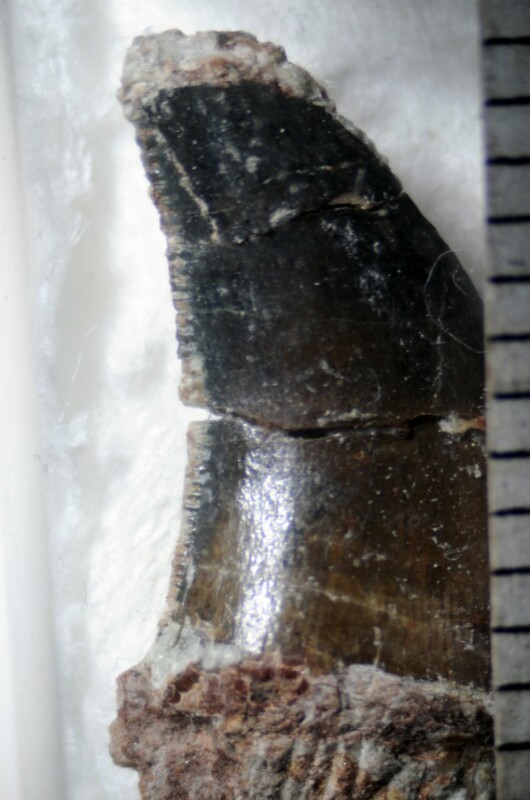 These include both large and small serrated dinosaur teeth, small leaf-shaped teeth probably from an unknown species of plant-eating dinosaur, teeth from extinct relatives of modern crocodiles and alligators, and two kinds of teeth from unknown reptilian predators. 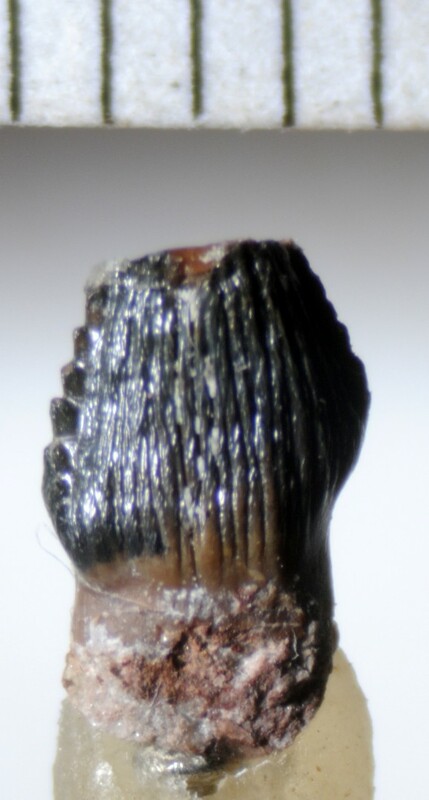 Milner has shown these teeth to other paleontologists that specialize in Late Triassic-Early Jurassic reptiles and they agree that 4 of the 7 tooth shapes are new to science. 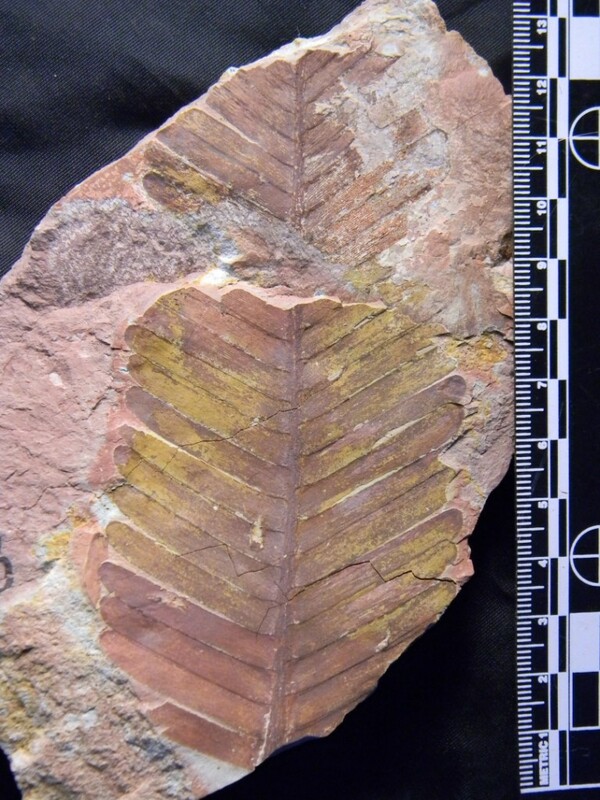 These plants represent the first identifiable plants ever found in the Kayenta Formation, he said, and along with the other fossils, help paleontologists reconstruct what life was like some 195 million years ago in the American Southwest during the early stages of the dinosaur record. The team also found a lot of cycads, which are a type of seeded plant typically characterized by a stout and woody trunk with a crown of large evergreen leaves that superficially resemble ferns. Cycads were very common during the Jurassic Period. 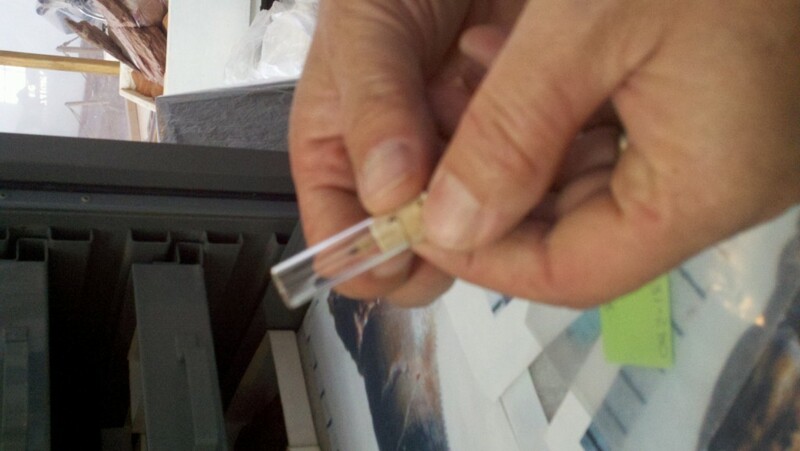 A large part of this collection will be housed at the Natural History Museum of Utah and the St. George Dinosaur Discovery Site at Johnson Farm. 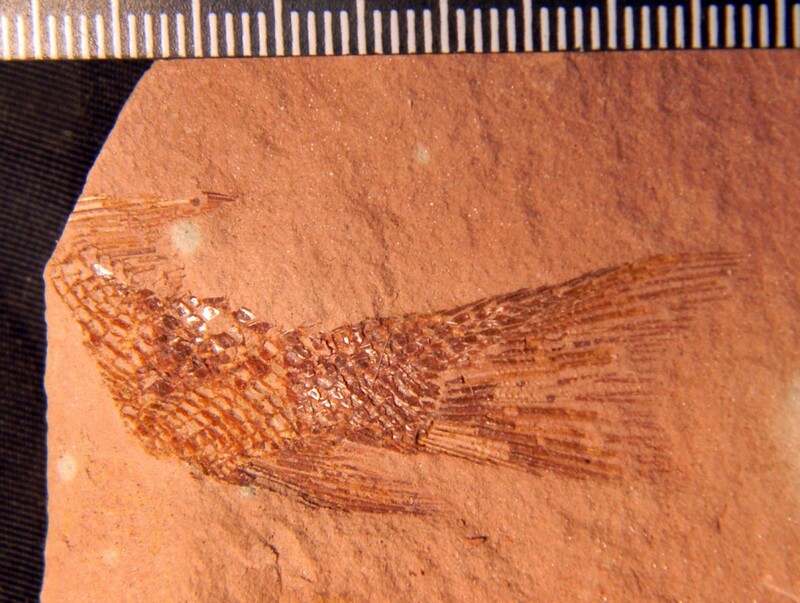 Smaller collections will go to Dixie State University, Southern Utah University, and other museums across the United States including the Field Museum of Natural History in Chicago. Milner said they had a group of volunteers with a keen eye and that the majority of their findings are typically tracks. 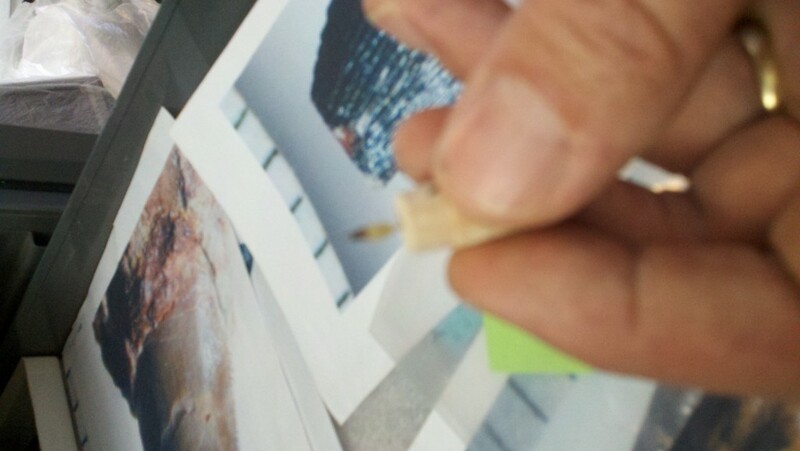 While Milner said he is excited by these new discoveries, he also finds it frustrating. “When I first started the SPP I wasn’t expecting to make such important discoveries,” Milner said. 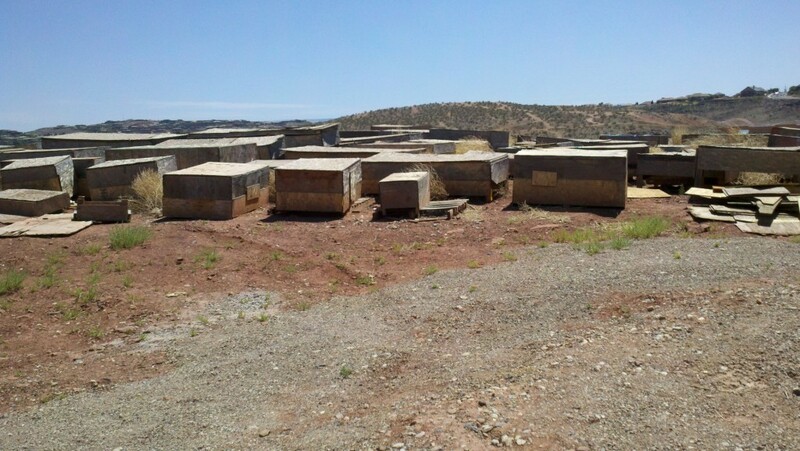 Milner said the Discovery site needs an additional building either on- or off-site from the SGDS for fossil preparation, collection storage and research/educational purposes and that many important fossils are still stored outdoors in wooden boxes which, he said, are degrading due to harsh desert conditions. Good stuff. Thanks. Would help if the vertical shots were rotated to be vertical however, so I don’t have to turn the laptop on its side. It was a special privilege and a great learning experience, to have been able to participate in the digs conducted before construction of the Southern Parkway began along the Washington Dam Road.